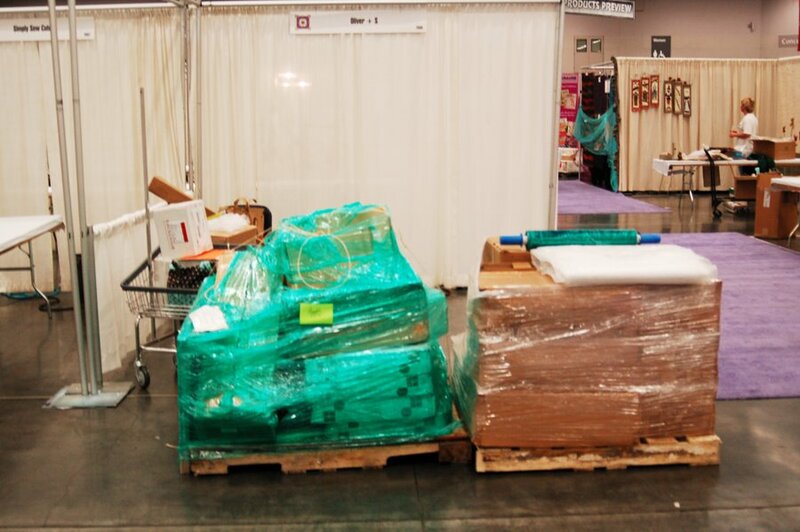 Here we are in Portland, Oregon, preparing for the spring International Quilt Market, which begins this Friday. 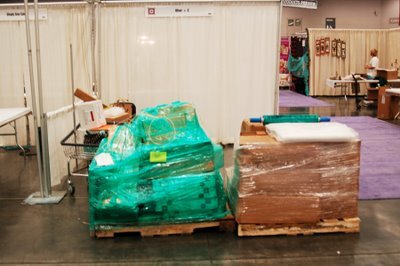 Market is an enormous trade show for quilt and fabric stores, where new products like fabrics and patterns are shown and available for wholesale orders. We’ll be previewing our fall collection, which will be available for purchase in August. 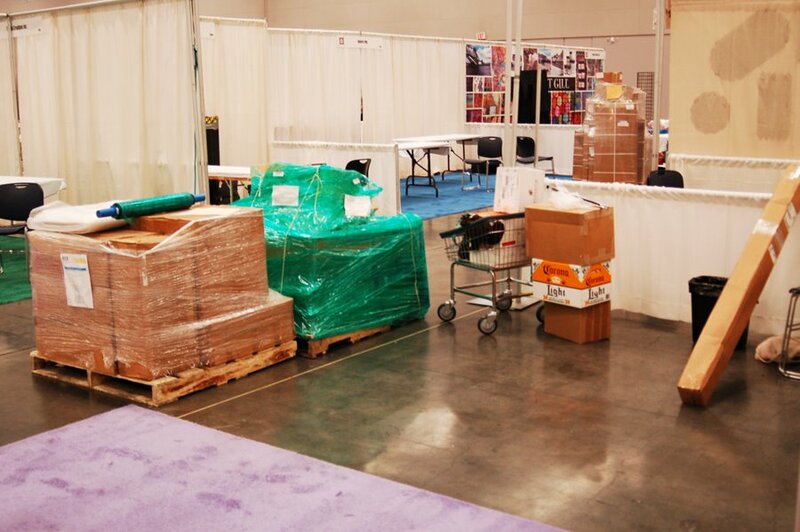 And here is our booth before setup. Lovely and inspiring, yes? Ah, but just wait; I’ll post the After photos very soon. The booth itself hasn’t changed much since last time, but maybe I can give you a quick glimpse of the new collection! Tomorrow we finish setup, prepare for our first Sample Spree (ask Gina for details), and then survive the infamous Spree and its aftermath (as well as packing up anything left over–please let there be no leftovers!) before collapsing into bed at the end of the day, probably sometime around midnight. Glamorous and exciting would describe it. Oh, yes! I’ll be back soon with tales to tell, I’m sure. Hopefully they’ll be positive tales of heroism related to the US post office and my three missing samples. Anxiously awaiting tales and stories about this trade show – I am getting ready for my first one in July and am taking notes! Good luck! Oh how I wish I could go. Good luck! I can’t wait to see the fall designs. The best of luck to you. I’m in awe that you are able to get all that together and safely shipped. Welcome to Oregon! We are having the best weather of the year so you are very lucky not to have to dash between raindrops. Oh! Good luck Liesl! How exciting! I’m sure it will all be a roaring success! It was so great to see you today-the booth looked fabulous, and the Fall patterns are to die for! Can’t wait for a sneak peak at the Fall line!